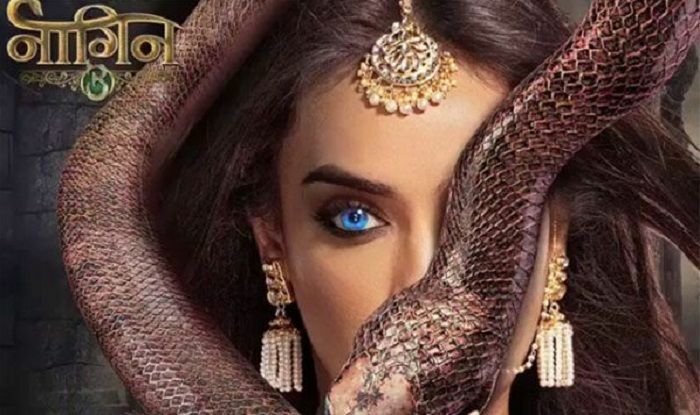 The show Naagin 3 starts with the plan of icchadhari naagin Vish, she says that she will take her revenge from Sehgal family by giving them a painful death. Andy and his Arab team enters the haveli and ignored the priest’ s sayings about the danger. Suddenly they listen to hissing sounds of snakes and they get afraid Vish also enters the haveli and introduces herself as a prime investor. Mahir was very curious to know the past of Haveli and he asks for it. On further asking, he comes to know that this haveli is 1000 years old and ichadhari naag naagins are saving it and this is their home. Then Arvind told them that Mahir will handle this project and vish suddenly says then what Yuvi will do? Mahir clears him that he doesn’ t get time so she has to deal with him only. At home, Yuvi was looking for someone Bela asked her and he tells that he is searching Vish. Vish come there . Everyone was dancing and enjoying. Bela collides with vish and on vish ‘ s saying that she is lucky as she is saved, Bela gets doubtful. She turned to her naagin roop and climbs on chandelier. Suhani sees snake and shouts loudly . Andy shot at snake and chandelier . Bela then sees Vish running from the party towards the haveli she follows her and enters the haveli ignoring Arvind . Standing behind curtain she saw vish was looking for her injury and she sees her portrait there. Arvind comes there and shouts loudly and then relaxes on knowing reality. Bela tells him that the lady in the portrait is vish so bring this portrait to Haveli. He follows her and at home Bela tries to expose Vish’ s reality but unfortunately she was failed as her all proofs were proving to be wrong. Bela says that this is not an ordinary woman and vish says that yes she is really not an ordinary woman as she is a prime investor. Yuvi’ s friend on seeing it gives his statement that Bela has jealousy from vish that’s why she is saying just like that. On this incident Andy was so sorry for vish and asks for her forgiveness, he also tells to Bela to say sorry to Vish and Bela did. Just then karan enters there and Yuvi asks him about how he is ? and who attacked on him ? Karan points his finger on vish and then moves to Adi and blamed on him that he has attacked on him and thrown him from 3-floor building in the pool. It was just a plan created by Arvind and vish so that everyone’ s attention could be drawn from her. Police come there and arrests Adi. Everyone was disappointed and Vish was very happy. Then Yuvi’ s ex-girlfriend comes and asks him to show her his ongoing wife. She says that Bela is not bad enough. Then Mahir tells her to wait for sometime as they are busy now so she goes. Mahir tells Yuvi to only love Bela, not to others and Yuvi agrees. Now see what will happen: will Bela see her changing her ‘ naagin roop’?